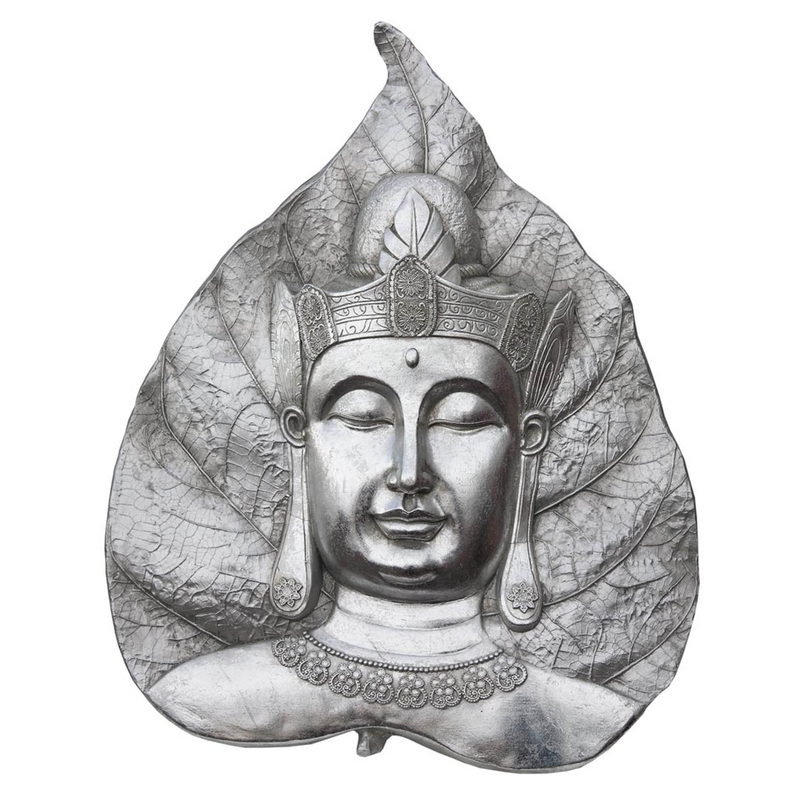 This is a magnificent ornament of a Buddha on a leaf. It has a silver colour and a simplistic design. This piece would be great to hang on any wall in the house and it would bring some life and character to where ever it is in the home.